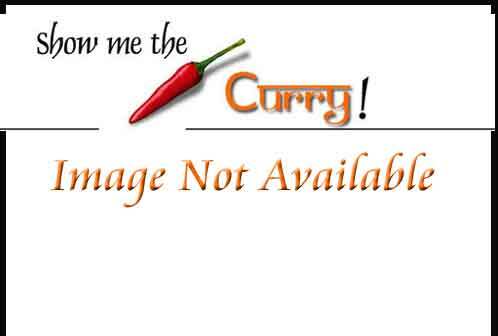 Rice Dishes or All Recipes.. 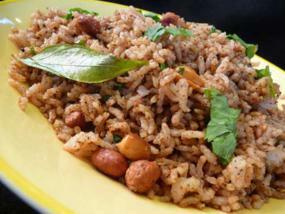 There are so many Indian festivals (Navratri, Janamastmi, Shivratri, etc) where many people choose to fast. Since fasting (Upvas) does not necessarily mean going completely hungry, try this delicious recipe for Moraiyo Khichdi that will surely keep your tummy happy! 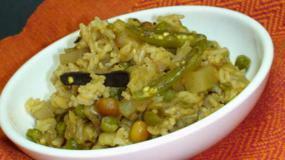 We tend to overlook Asparagus as a possible ingredient in Indian cuisine. 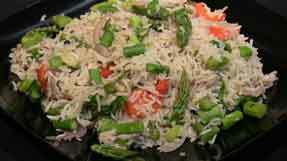 With its fresh and subtle flavor, not to mention a crisp texture, asparagus is a fabulous addition to an otherwise basic and ordinary pulao recipe. Combine asparagus with the bold flavor of garlic and you’ve got yourself a winner! 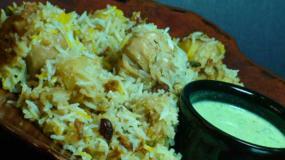 Sometimes, the thought of making a Chicken Biryani seems too time consuming or difficult. 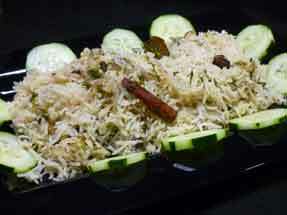 Let this easy Chicken Pulao recipe come to your rescue. 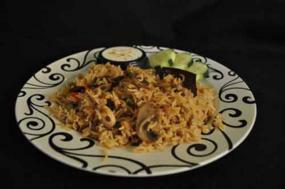 In no time, you can enjoy the taste of long grain, aromatic Basmati rice flavored with spicy chicken. 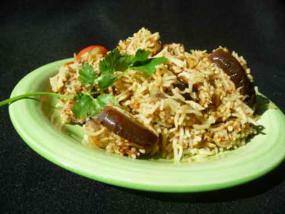 Brown rice is known to have more nutrients and be a healthier alternative to white rice. 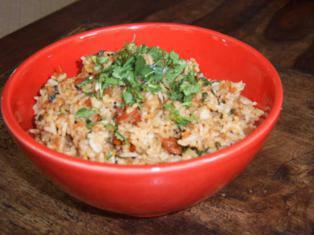 However, many people struggle with brown rice because it cooks at a different rate than white rice. 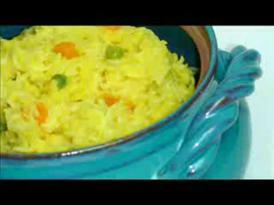 In this video, we observe the differences in two methods of cooking basic brown rice. Find out which method you prefer. 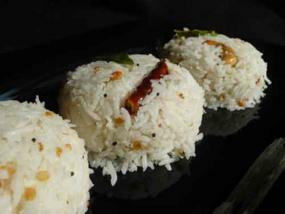 There are so many ways to flavor rice and today we’re featuring coconut! 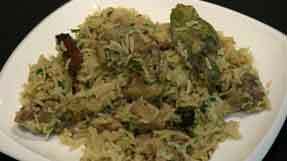 This Coconut Rice recipe (Thengai Sadam in Tamil) can be made with fresh rice or is a perfect way to use of leftover rice. Give yourself a break after the big holiday weekend and make simple, delicious Coconut Rice! 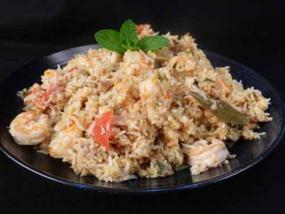 If you’re tired of the same old biryanis, try this Goan inspired recipe for Shrimp (Prawn) Biryani. With the creaminess of coconut milk and freshness of mint, it’s the perfect combination! 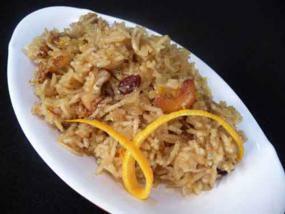 Seasoned Onion Rice (aka Vagharelo Bhaat) is a practically effortless way to a quick lunch or snack. The crunch of the onions and the zest of the lime gives this rice such a fresh taste that you’ll never know it was left-over. 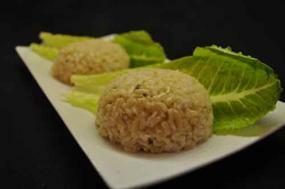 Fenugreek Rice or Methi Pulao is a very simple yet delicious rice dish that can be had all by itself or be served with other dishes. We had this at a friend’s place and were floored by the color and the flovor of this presentation. 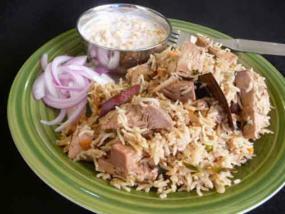 We love to call this the ‘jhatt-patt’ rice. ‘Jhatt-Patt’ means quick! 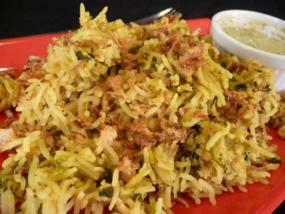 What a fabulous name for this wonderful left-over Masala Rice dish. It is amazing what a little masala (spices) can do to freshen up the leftovers. So finish off the leftovers and get a great dish out of it, what a brilliant idea! 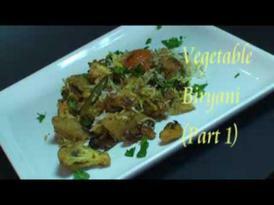 Vegetable Biryani is an Indian rice dish bursting with flavor. With so many layers of delicious spiced vegetables and rice and so many levels of flavor, it is definitely a satisfying meal all by itself. 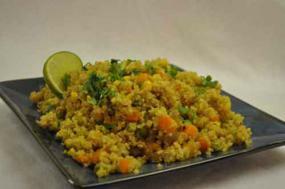 Try this recipe for a very popular and widely recognized Indian dish. 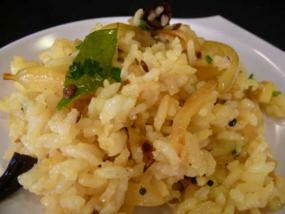 Tomato Rice is a South Indian dish but due to it’s attractive look and the wonderful taste, it has won everyone’s heart. 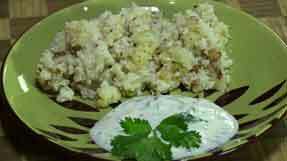 Enjoy this dish with yogurt, pickle and papad…..mmmm! So colorful, simple and easy to make, you’ve just got to give this a try. 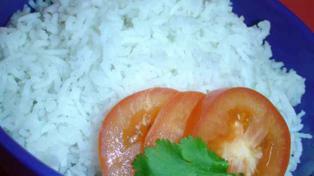 Preparing rice using this method is an excellent way of enjoying the taste of rice without the added worry of starch. 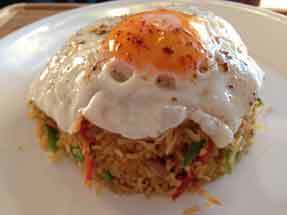 An added bonus…rice comes out soft and fluffy, not lumpy and hard. 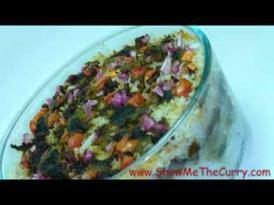 Got a lot of left-over rice that you don’t know what to do with? Make Yogurt Rice!! It’s simple and satisfying. 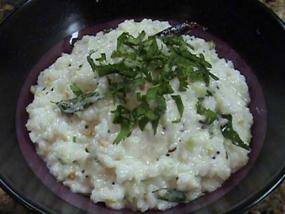 Eat Yogurt Rice (Dahi Bhaat) with a little mango pickle – it’s yummy! 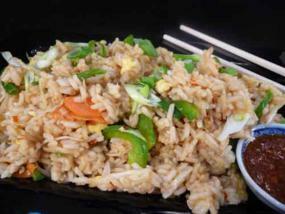 Is plain white rice just a little too boring to serve to your guests or family? 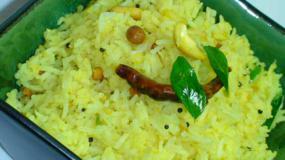 Try this colorful and fragrant Jeera (Cumin) Rice recipe and put a “Wow!” in your dinner presentation.